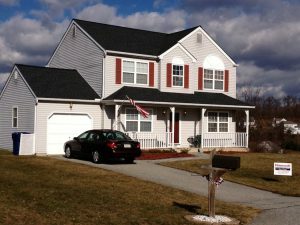 Advantage of Vinyl Siding | Wilmington DE | Homecraft Inc. When choosing a material for siding your home you have many options. Wood shakes, aluminum, wood clapboards, fiber cement – all have their positive and negative features. But there is one material used for siding Delaware, Pennsylvania, New Jersey and Maryland homes that provides the ideal balance of looks, protection, durability and value: vinyl siding from Homecraft. Vinyl siding has long been one of the top choices in siding Tri-State homeowners have preferred. Vinyl remains one of the most popular siding products installed by the Delaware, Pennsylvania, New Jersey and Maryland siding experts at Homecraft. It is easy to see why. The choice is clear for siding Tri-State homes. Vinyl siding is the most cost effective way to protect your Delaware, Pennsylvania, Maryland or southern New Jersey home from the elements, reduce home energy use, and enjoy a relaxing, carefree life. Homecraft, Inc. is an experienced Tri-State vinyl siding Delaware, Pennsylvania, New Jersey and Maryland contractor installing top quality siding with superior performance and warranties. We are the vinyl siding company Tri-State homeowners turn to for quality and affordable siding installation. Call Homecraft®, Inc. today at 1-877-494-0377 to schedule a FREE in-home consultation and estimate from the leading Tri-State vinyl siding contractors.